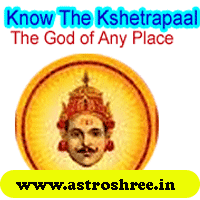 The god of place, the god responsible for the place power, How to get the grace of 'kshetrapaal', Benefits of worshipping kshetrapaal, Importance of kshetrapaal, Way to energiz any place, Remedy of Planetary Problems, navagraha remedy, Remedy of vastu dosha. If any place is creating problem in your life, If any place is not supporting you, are you facing problems after entering in any house, vastu, Do you want to thrive in life smoothly, do you want health, wealth, prosperity, honor, status easily then this article will show you the miraculous path to achieve your dream. Do you ever heard about the plac of god 'kshetrapaal', If not then you are missing very important power in life. kshtrapaal is the god of place. If any one is not getting the grace of kshetrapaal then he or she may suffer a lot in life. No one can thrive properly if the place is not supporting, it means that if the god of any specific place is not supporting then it is not possible to get the optimum result from that place easily. Let's understand Who is 'kshetrapaal'? As per the hindu epic every place is controlled by a specific power which has the power to do any thing with the person who is going to live in there, This power is known as 'kshetrapaal'. Let's understand this concept practically suppose if you have bought some places then you have full controlled over it and no body can enter in your place without your permission and if enter he can not utilise any resources over there. This is the physical scene which is felt by every on but there is a 2nd face that is the invisible part of any place which is not seed but major impacts are felt by the owner of any place, field etc. Actually every field is gain with a specific invisible power as per our epics and if any body doesn't worship that power before or after entering in that place then it is not possible to thrive in good manner. It is because in every pooja 'kshetrapaal'are worshipped properly by the scholars or brahmins. They are the main master of any place. They actually protect any place. 'kshetrapaal' are the main god of any home, field etc. There is a special spells given i honour, age etc. In the epic of maharshi parashar 'Krishi parashar' the importance of 'kshetrapaal' has been given very systematically. Sharda tilak is another epic in which there importanc is given properly. There are 49 types of 'kshetrapaal' as per Hindu epic. It is possible to over come from planetary problems just by worshipping 'kshetrapaal' (the god of specific place). If you visit some famous and spiritual places like Pushkar, Gaya, Nemisharanya etc. then you will find that here the temple of 'kshetrapaal' is made and these places are thriving because of this. Regular worship is done by the pundits here. If any person do the 'kshetrapaal saadhna' and recite the 1 lakh spells and do the hawan with Ghee and Kheer then definitely the person will get the grace of the god of that place. So if you want to over come from vastu dosha then i must recommd you to proceed for 'kshetrapaal pooja'. If you are suffering from any planetary malfic effects then you will definitely get benefit from 'kshetrapaal pooja'. If you are not thriving at any place then this pooja will open a new door for you. If you want to fulfil the dreams smoothly then worship 'kshetrapaal'. If you are suffering from any problems like as health, wealth, prosperity, black magic, evil eye effects then no doubt you will get the best consultancy from the best astrologer. One consultancy will change your life. Astrologer for simple remedies of planetary problems and vastu problems. Best solutions of problems.